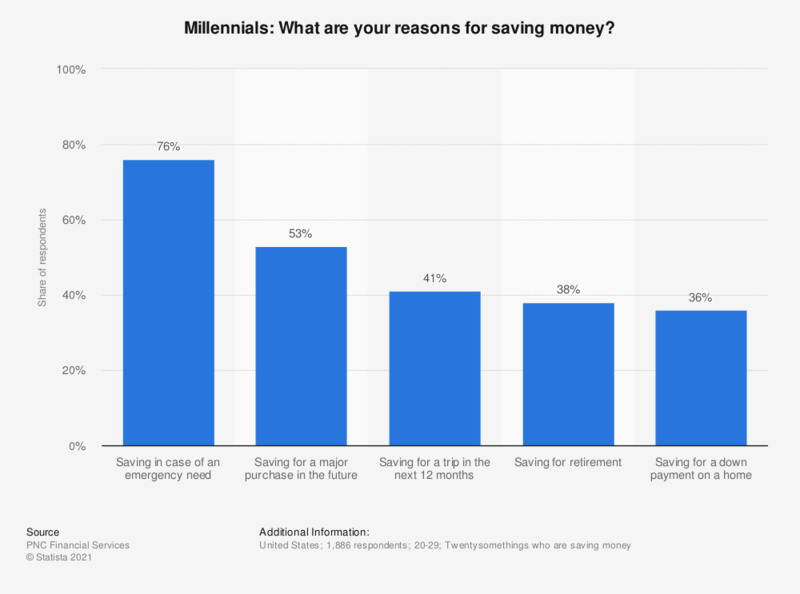 This statistic shows the results of a 2011 survey among twentysomethings, also called Millennials, in the United States on their reasons for putting money in a savings account. 76 percent of respondents stated they are saving money in case of an emergency need. The source does not provide information on the share of respondents exceeding 100 percent.